Would you say the Orioles’ Dominican facility ranks toward the bottom of big-league teams? Well, I haven’t seen all 30. I’ve just heard that it’s nowhere near up to the standards that I want for the future of our development. Some of it is stuff that we can change in the short-term. Other things will take longer-term investments. It’s in a really good spot. We’ve got a really good landlord, Junior Naboa, who is good to work with and is an experienced landlord and there are a lot of good, neighboring teams. So, there are some positives. But we just want to have better development conditions for the players. What’s one easy fix right now that can be made quickly and inexpensively to better your Latin program? We’ll try to introduce some technology. We’re getting TrackMan (multi-data tracker) units installed as we speak. That’s a pretty major investment. I’m excited. I think we are going to get that in in time for minor league spring training in the Dominican. And we will introduce different strength and conditioning technologies, bat sensors, new weight equipment. So, there are things like that we can do very quickly in the near term. Since we are on the Dominican, what is the latest with the Orioles’ pursuit of Yolbert Sanchez, the Cuban shortstop playing in the Dominican who is now free to sign with any MLB team? All I can say is that we are in a position where we are on top of everything. So, Koby and the staff that we have and me, we’re looking at every avenue. We are sitting on a large pile of international (slot) pool money. As I’ve said, I don’t expect us to spend it all or even close to all of it (by June), but we are looking for every opportunity to do so and do so in a wise way. So, I think it goes without saying that as high-profile Cuban free agents or other international free agents suddenly become available after (last year’s) July 2 signing period, we are gonna be all over it in terms of vetting it. He also touches on Venezuela, free agents, Karns, minor league signings, the catchers, shortstop, the draft, analytics, Brady Anderson... the list goes on. An extremely comprehensive piece here, and it's not just PR word salad from Elias. Connolly asks some tough questions. So much more refreshing to hear Elias speak than Duquette. Elias actually answers questions instead of speak in generalities and/or market tropes. Yes. A thousand times yes. Lol. I was going to post from this interview as well. Elias confirms again there won’t be any multi-year deals signed. You had mentioned previously that one-year deals with free agents this offseason are likely your ceiling right now. You did that last week with pitcher Nathan Karns. Do you expect that kind of addition — major-league signings — to happen much more for the Orioles in the next few weeks? I expect things to be pretty minor between now and into spring training. A big reason for that is, while there are ways to improve this team in the near term, clearly, we have to keep our eye on the ball. And part of that is not blocking playing time for young, controllable players that we have and that we have a chance to have for a very long time and who might be part of the next playoff team here in Baltimore. So, the degree to which I can avoid clogging up playing time for some of these guys that we really have got our eye on is very important. Now, when it comes to pitching, there’s always innings to go around. We’ve got possibilities in the rotation right now. We’ve got possibilities in the bullpen. Nate Karns is someone that we view, in particular, as a huge talent upside for a number of reasons. Obviously, there is some injury risk with him. He didn’t pitch at all last year. Even the year prior he was banged up. But we waited and we looked at the value and the upside with his talent, and, just looking at things in total, we felt it was a worthwhile risk to take. And, if everything works out, he’s under control the following year as well. So, we think it makes sense for us for a lot of reasons. But I don’t anticipate any kind of free-agent signing frenzy here at the end. We’ve got to keep our eyes on the guys that we have in the organization and getting them better. So, you anticipate any future signings to be of the minor-league variety? I think it’s more likely minor leagues unless something changes. We want to get a mix in spring training that we feel like we’ve got a good group to compete for each position. I think as you’ve seen from some of our activities this winter, we’ve tried to make some minor moves in terms of improving our defensive options and adding some versatility on the roster. We’re certainly keeping our eyes opened and are assessing anything that becomes available, but at this point, I can’t say that something’s definitely going to happen. When asked about Brady’s role, Mike talks about his value with team nutrition and strength and training. 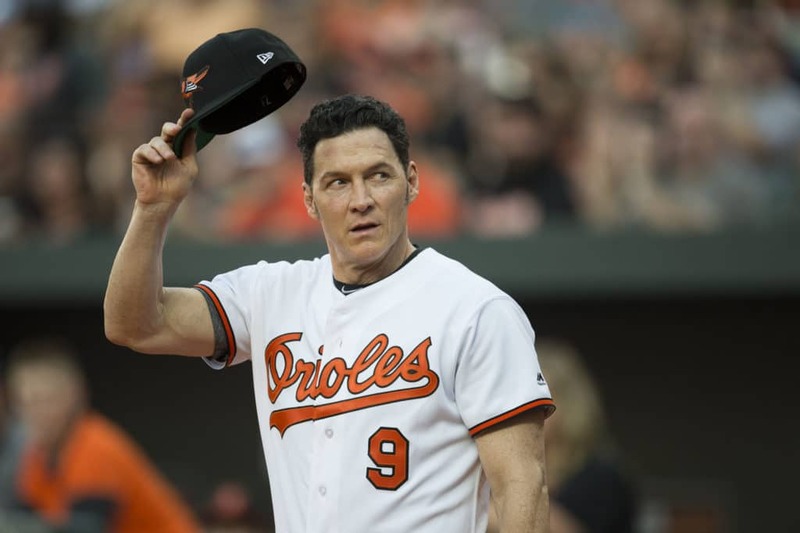 Now that you have had some time with club vice president Brady Anderson, the highest-profile holdover from the previous regime, do you have a better sense of what you want his role and specific duties to be? Brady has been involved in a lot of things here over the years, but he’s particularly been a driving force behind the nutritional programs and the strength and conditioning programs here, which have vastly improved under his watch. So, his involvement there is something I’m leaning on a lot. We haven’t been in camp yet, and so we’ll see how things evolve and progress going forward. But he’s been keeping up his work in the training space very heavily. Kind of a sad statement on prior ownership/regime priorities... to put it mildly. Really, it's almost scandalous that a team like the Orioles would be so poorly established in DR. But Elias give me hope! ﻿ But Elias give me hope! The real sad thing is it probably costs next to nothing to set up a decent facility in the Dominican Republic. According to Rafael Pérez, MLB director of Dominican operations, in the past 10 years 15 academies have been built at an average cost of $4 million each. The more modern and luxurious academies have cost $6 million to $8.5 million, a large sum compared to the $785,000 it cost to build Campo Las Palmas. When asked about how important solidifying the up-the-middle positions are when building the team, Elias said: I’m consumed with thinking about it. "We don’t have a weaponized model for high school statistics"
The man has a way with words. We are sitting on a large pile of international (slot) pool money. As I’ve said, I don’t expect us to spend it all or even close to all of it (by June), but we are looking for every opportunity to do so and do so in a wise way. Confirmed in the article: they have made analytics hires, and will continue to, but many of them won't really be announced or "on the team website" anytime soon. Meanwhile the Marlins have said they are trying to get as much additional slot money as possible. When you are so badly outspent by the Marlins you know something is wrong. I think Elias isn't allowed to spend the money by ownership. If that's true, why spend the time and money to upgrade the facilities, hire Koby, spend time in the DR himself? They haven't spent money to upgrade the facilities. They are talking nickle and dime stuff and they still will have the worst facility in DR in baseball. If they announce they are spending 5 million dollars plus on a new facility that is spending. Installing trackman to the worst facility in baseball? Give me a freaking break. That is $30,000.